A state prosecutor requested Fernando Acosta be held on a $1 million cash bond after he was caught on video stabbing a woman to death last week. 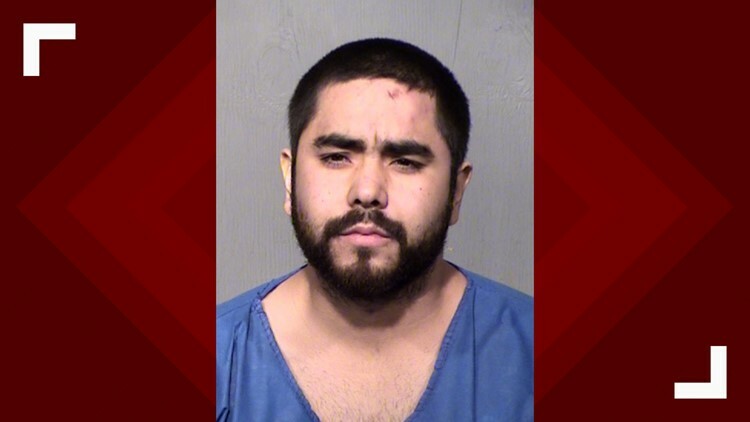 PHOENIX — A man charged with first-degree murder for stabbing a woman to death last week along Loop 101 is being held on a $1 million cash bond. A state prosecutor requested the bond, stating Fernando Acosta was caught on cell phone video committing murder while bystanders yelled at him to drop his knife and stop. On March 22, 25-year-old Acosta crashed off the side of the road just before the Thunderbird Road off-ramp, exited the car and began stabbing Martha Thy of Spring Valley, California. According to court paperwork, Acosta attacked Thy inside the car as she was in the passenger seat and outside the car as she tried to escape. "Thy crawled out through the driver's side door and closed the door behind her when Acosta stopped assaulting her," court documents read. "As Thy was on her knees outside of the vehicle, Acosta approached the driver's side of the vehicle, grabbed Thy by her hair and began stabbing her with the knife again." Thy died from the stab wounds at a hospital. Acosta was eventually stopped when a witness shot him. In the cell phone video obtained by 12 News, six gunshots can then be heard before Acosta falls to the ground. Witnesses then went to hold down Acosta will waiting for the police to arrive. One of those witnesses, Gustavo Munoz told 12 News Acosta was laughing. Acosta survived the shooting and was booked into the Fourth Avenue Jail. He appeared in the courtroom at the jail with a bandage around his arm.